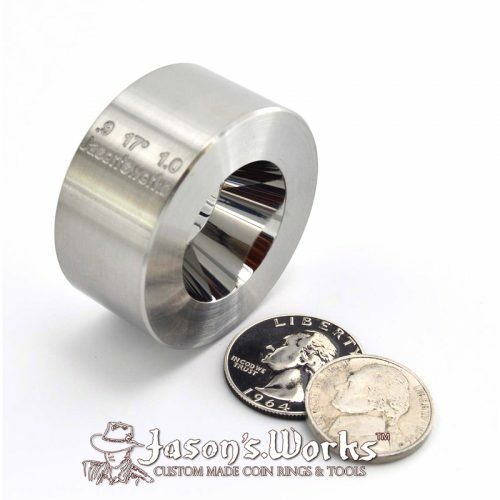 This is a double sided reduction die as described in my manual with 1.500″ and 1.625″ openings. 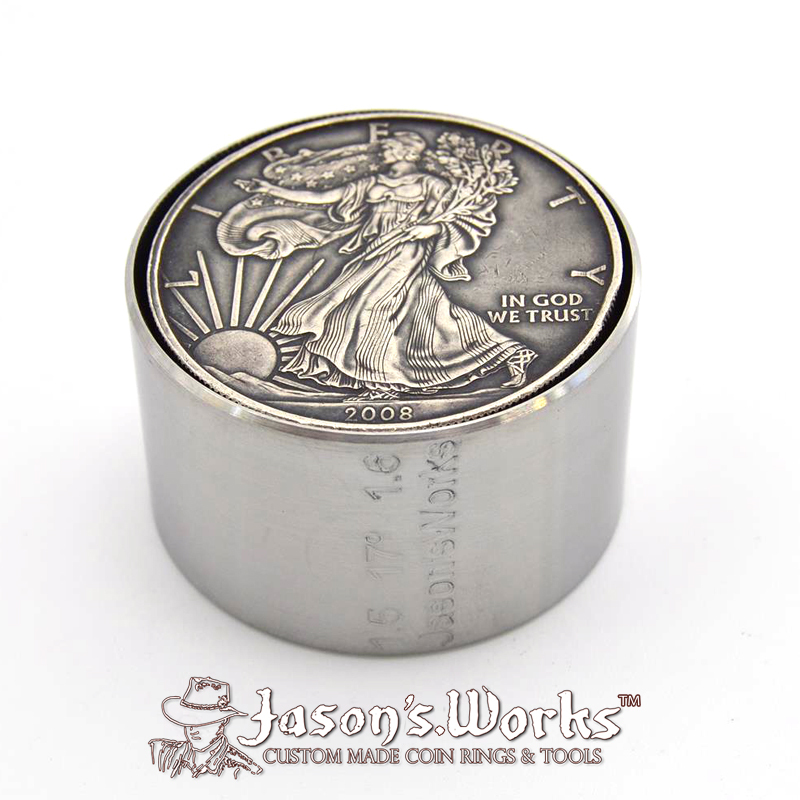 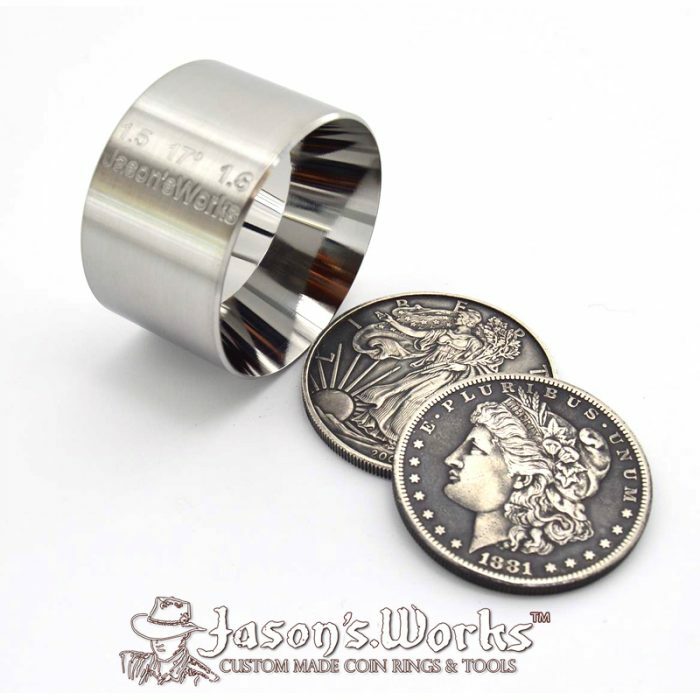 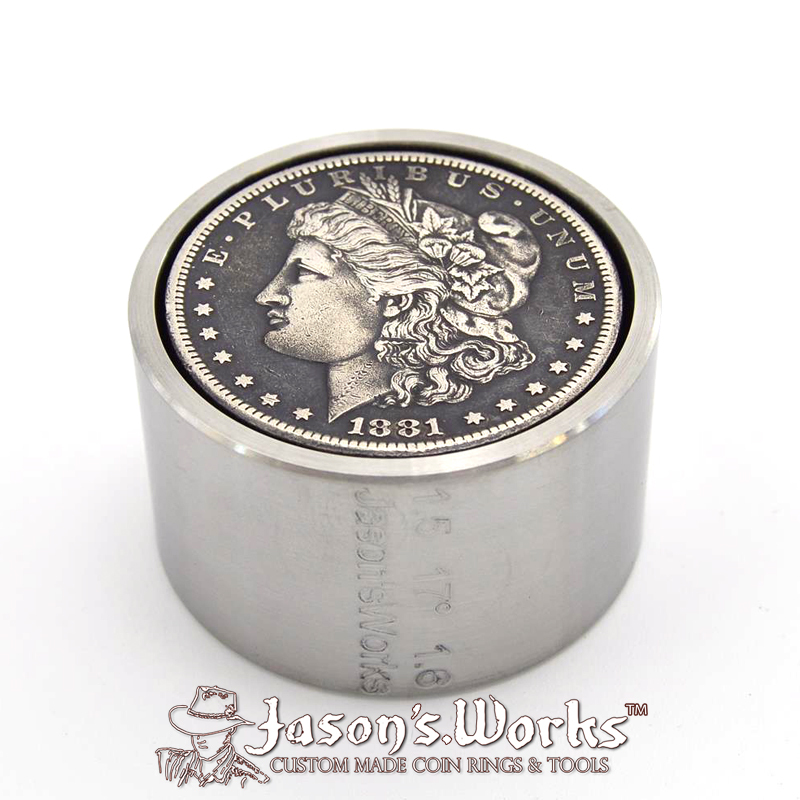 This die can be used to start reducing and folding United States Silver Eagle sized coins. 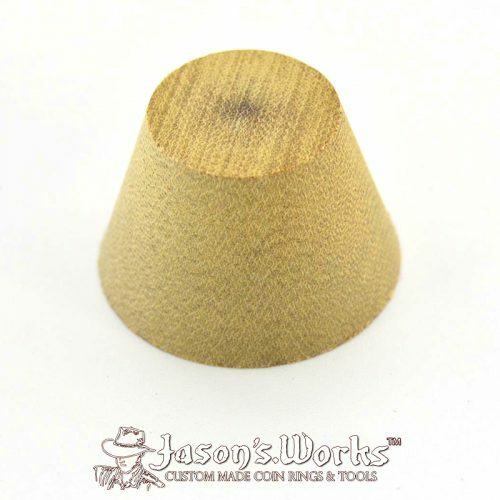 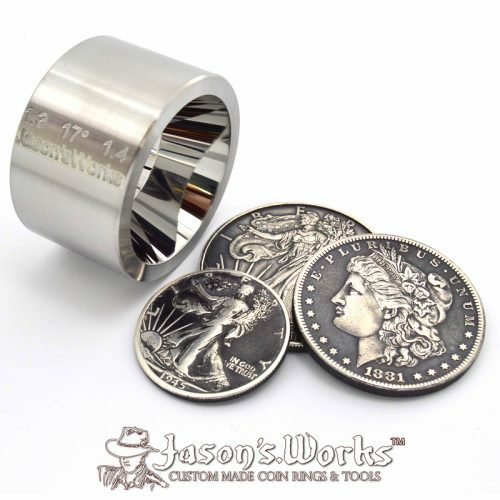 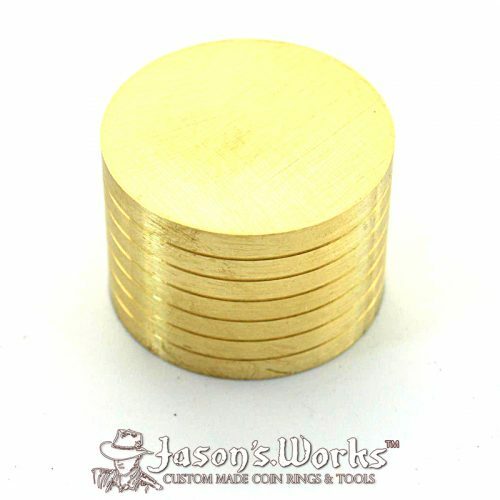 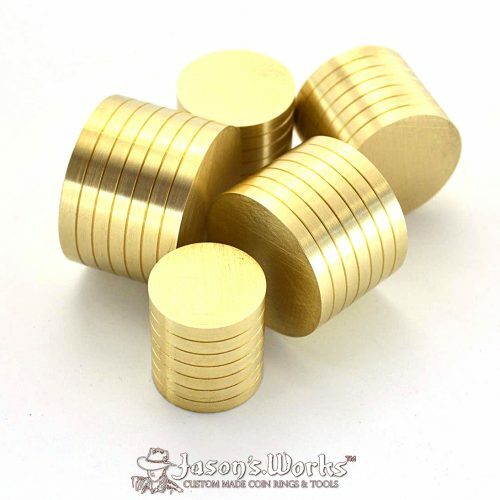 This die can also be used in conjunction with the stabilizer folding cones and mandrels to begin folding dollars and silver eagles leaving no mark on the inside of the coin. 8. 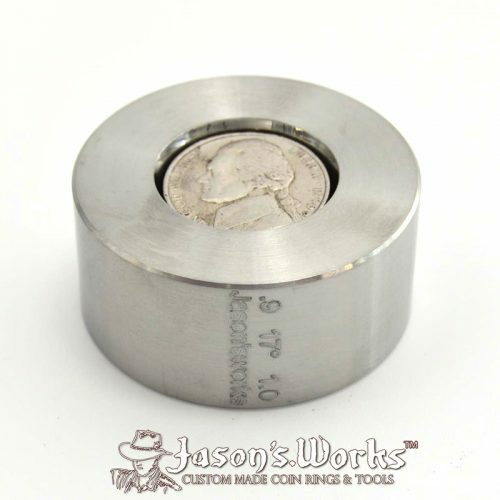 When I first prototyped these dies years ago in mild steel, the cost was $75 each. 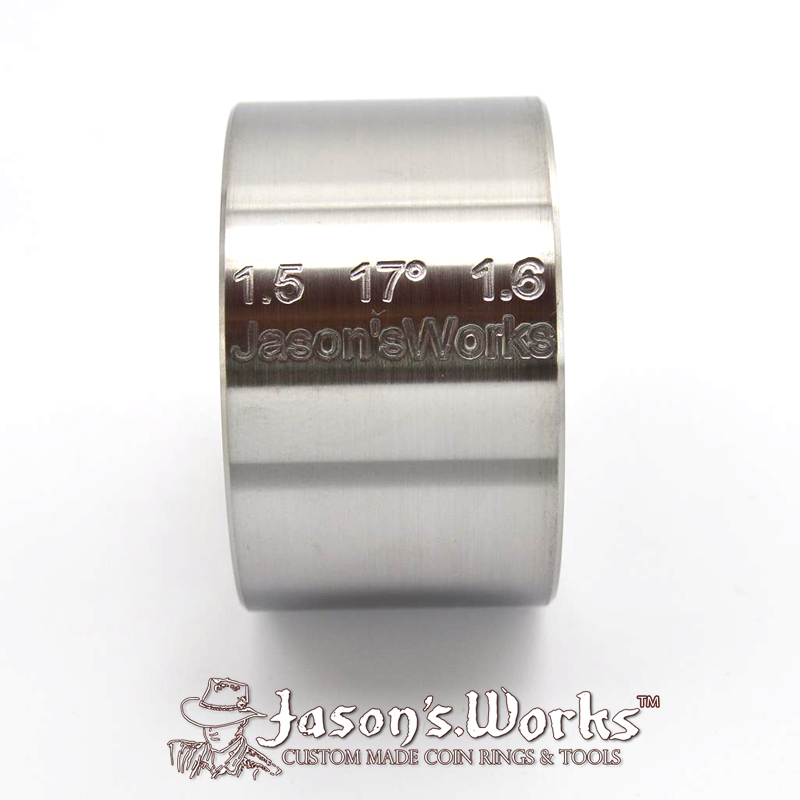 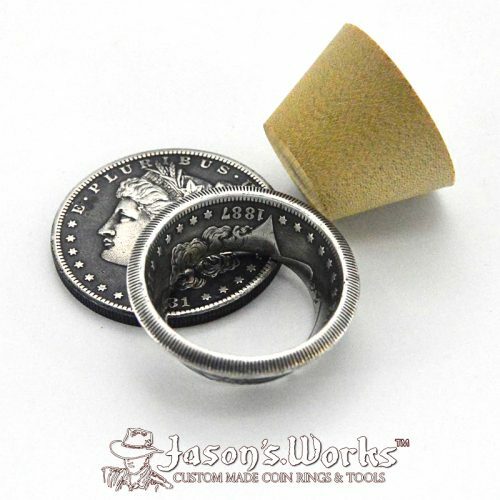 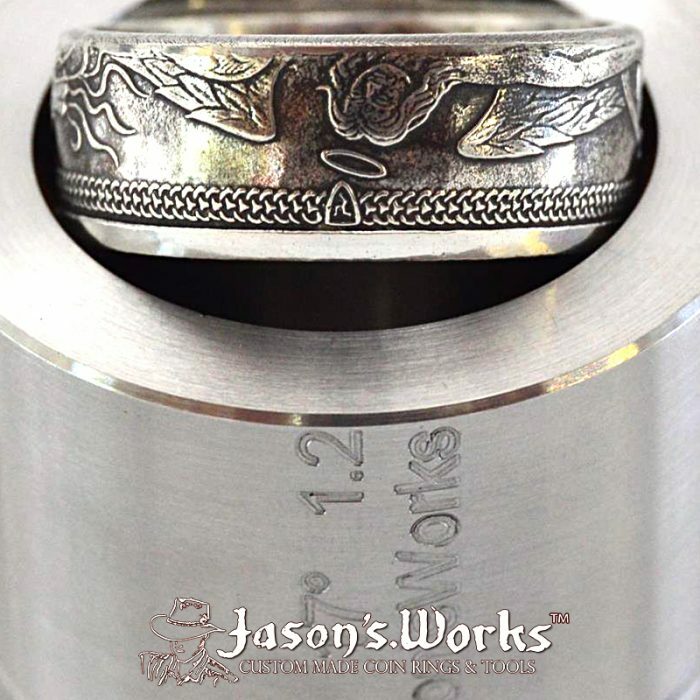 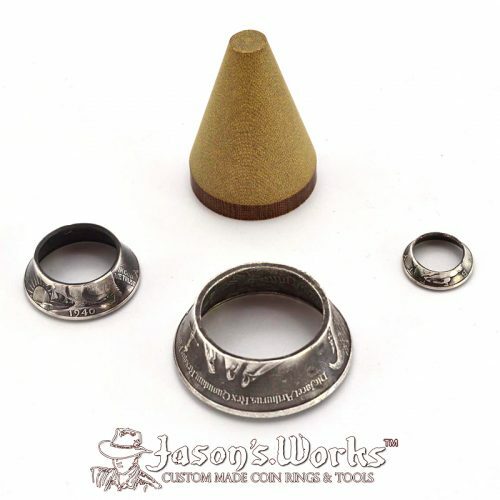 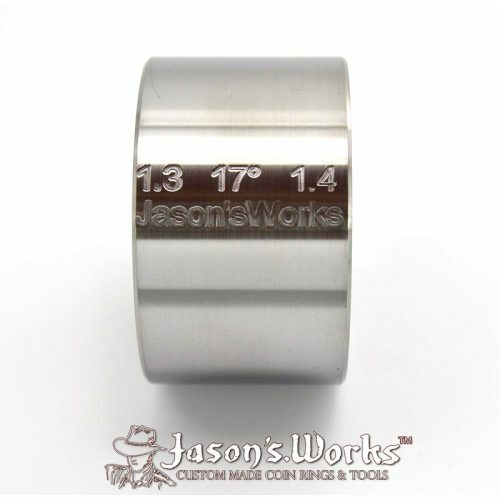 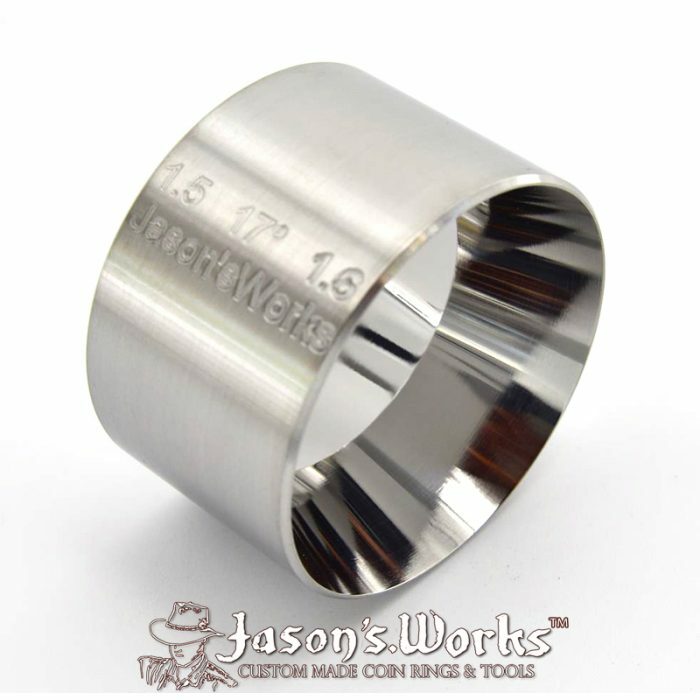 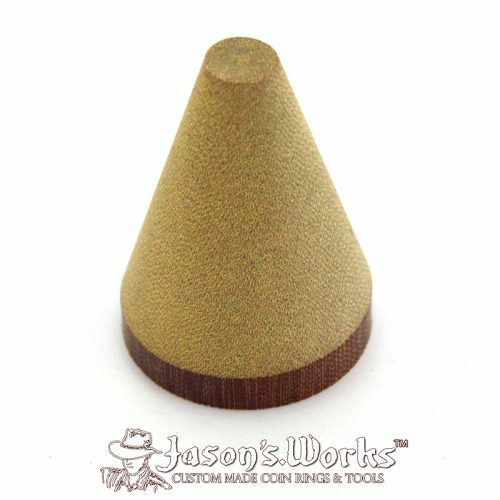 I have been able to get the cost down as much as possible to help get the best tools at the best price to coin ring makers.